Hi, this is a sponsored story! I’m glad you are here, take a read through and let me know what you think of the outfits I found! You can find my full disclosure at the bottom of this post. Do you have a color hue that you have been wanting to add to your wardrobe but have been a little hesitant? That is how I have been with the coral/peachy spectrum sensation. Since my skin is so fair, I have been fearful to try such delicate yet bold colors. But then I look at the latest fashion trends on Pinterest and I have found myself pinning more and more of these colors, especially paired with white. Oh white, talk about another color I am scared to wear. Not because of the color itself but because I seem to always get something on my clothes. In just a couple of weeks it will be Mother’s Day. The kids and I used to have a tradition where we would travel to Sedona, AZ for the weekend. We haven’t done that in a few years and I miss it so much, I have been planning a trip back this year. I decided to spoil myself for an early Mother’s day present and buy some new clothes for Mother’s Day weekend. I went shopping at Sears and found myself falling in love with these colors in person. There were so many bright orange hue colors that I just loved. 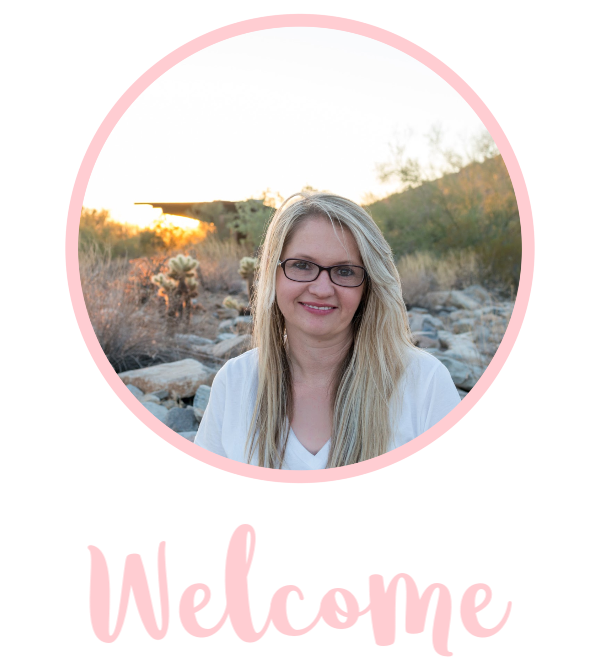 Plus Sears has affordable fashions, perfect for this mom’s budget! 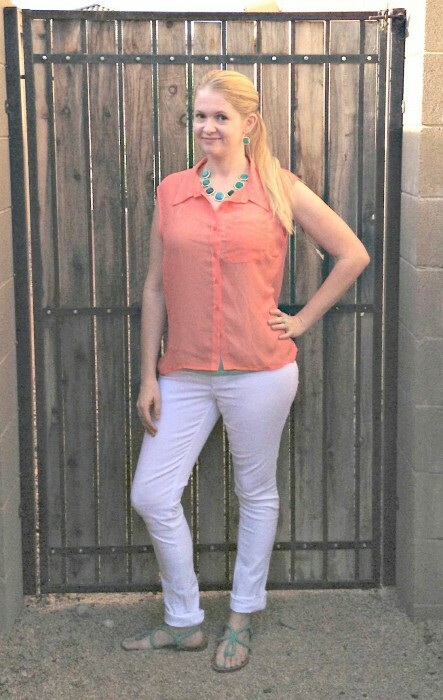 My first find was a sheer top in a bright coral color for only $10.99! I wasn’t sure how I would feel about the high low top but I actually love it, especially since it will cover the top of the white skinny jeans! Yes, I bought a pair of white skinny jeans. The deal was too good, only $12.99! Plus they fit perfectly in my opinion! My next find was this maxi dress. 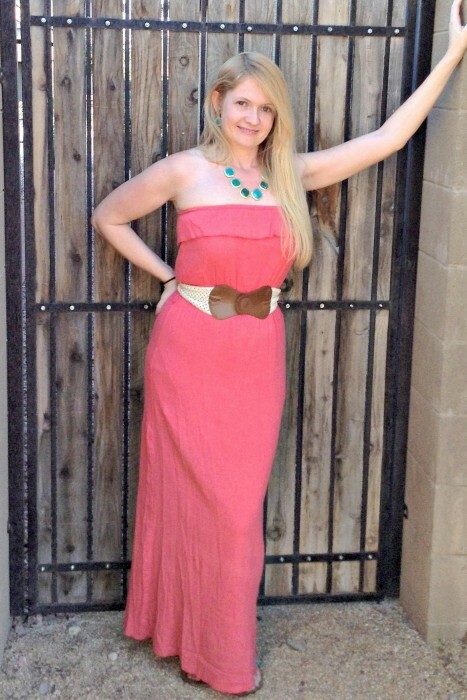 A little background on my love/hate relationship with maxi dresses. I love them, I think they look gorgeous on women. My problem is that typically they are a knit material and they “gather” in the middle of my body which is not an area I want to draw attention to. 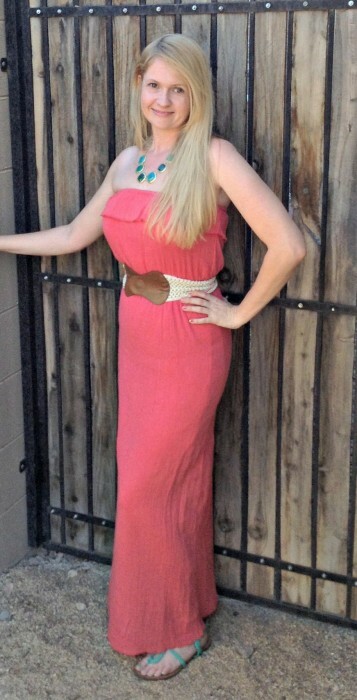 I was happy to find this belted maxi that was 55% off and was not a knit! This dress was only $21.99! 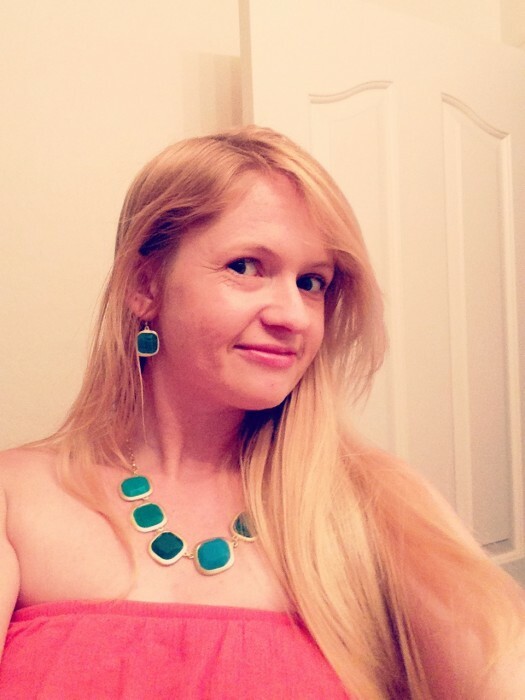 I also treated myself to a necklace/earring combo set from Sears that would pair perfectly with both outfits.I absolutely love the spectrum of blue/turquoise! All in all I spent only around $51 for 2 complete outfits and the accessories thanks to the fabulous sales at Sears and the Shop Your Way Rewards program. It’s a program that gives you a certain percentage of your purchases back to use on a future purchase! I love when there are bonus points on certain items too! 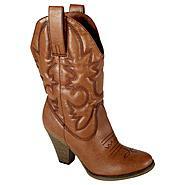 Of course there are some other things I have been eyeballing like new cowboy boots. Check out these boots from Sears! 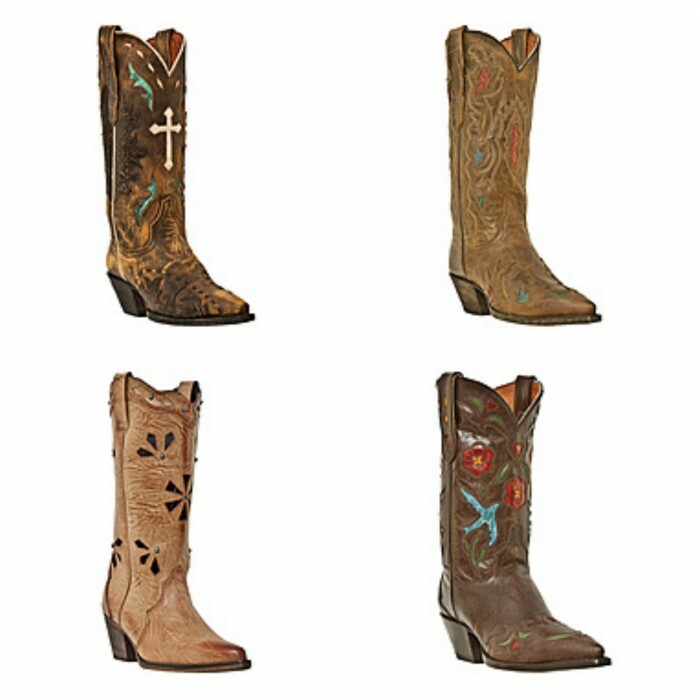 While real deal cowboy boots are out of my budget for now but maybe someone will get me a pair for Mother’s Day *hint hint*. I actually found a cute pair of heeled boots for $29.99! Here’s a clever tip: Never shop looking at the hanger for sizes. I should know better, I really should. I had to go back and exchange my shirt because it was 2 sizes off! Remember to examine the clothes, even better take a minute or two to try them on and save yourself all kinds of trouble. You look fabulous!! I really love the maxi dress, the color is perfect on you. I never used to shop at Sears for clothes, but I do now because they have great stuff! As a Texan, I like the cowboy boots the most. I love these fun outfits you put together from Sears! And the coral color looks great on you and is so on trend right now. I think I need to take a trip to Sears very soon! You look amazing in that color and I adore that dress! 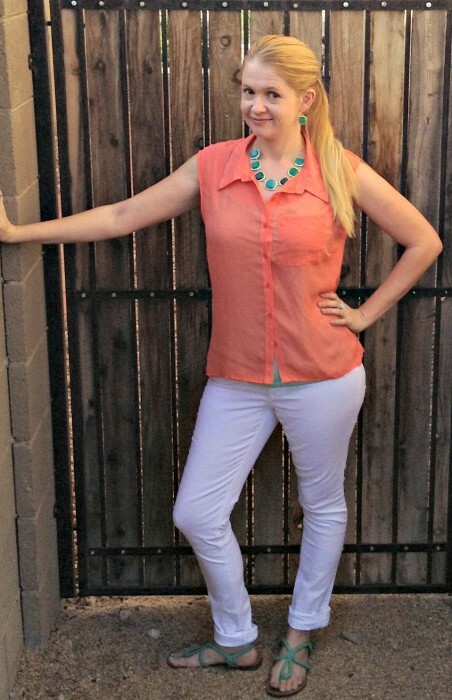 Great color choice and those boots are amazing at $29.99! Makes me want to go shopping right now. I don’t know which piece I love the most! Those boots are pretty awesome and would work so well with so many of the pieces I already have!